A guardian angel gives a desperate businessman a peek at what the world would be like if he had never lived. 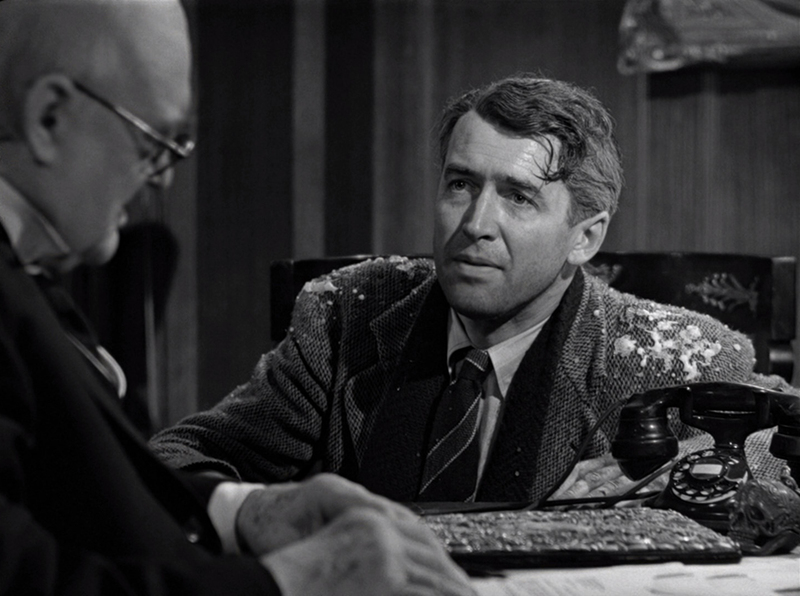 It’s a Wonderful Life is set in the fictional town of Bedford Falls, which is representative of an idealistic American community. 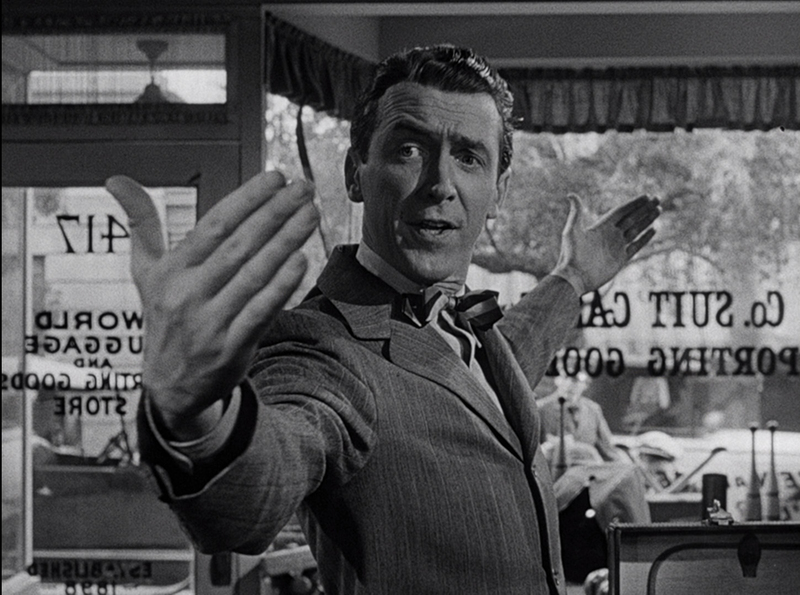 The story revolves around the character of George Bailey, expertly played by James Stewart. 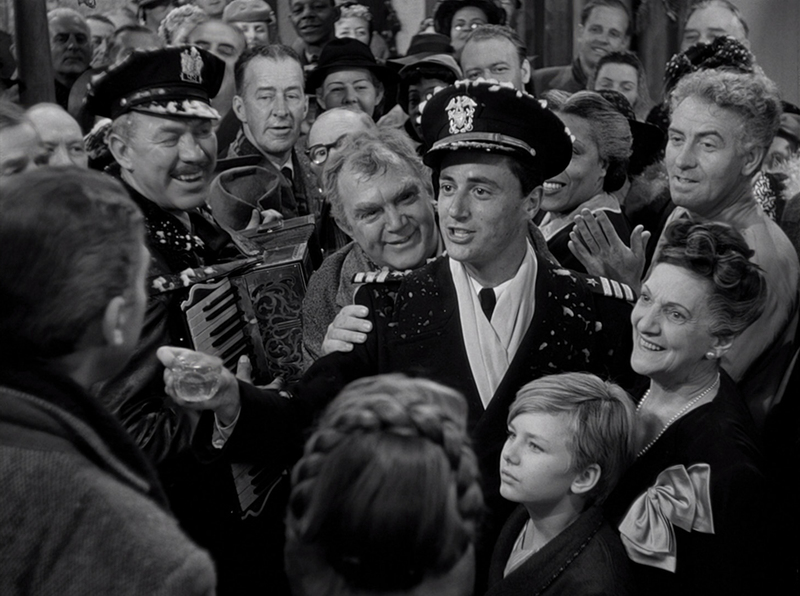 Bailey was born and raised in Bedford Falls with his family and closest friends. He has a good relationship with just about everyone in town, with one exception: the villainous banker Henry Potter, played by Lionel Barrymore. Potter is a character so heartless he is capable of publicly writing off common human decency as “sentimental hogwash”. George Bailey has never left Bedford Falls yet all he has ever wanted to do with his life is get out of town and explore the world. Every opportunity Stewart has to leave is consistently thwarted by various people and events and Bailey ends up spending all of his life there. The film comes to a heart-wrenching climax when Bailey is driven to near suicide, at which point an angel named Clarence, played by Henry Travers, intervenes and helps Bailey understand the positive impact he’s had on the world. It’s a Wonderful Life is one of the few films that I’ve made a conscious effort to avoid dissecting. For some reason, I’ve found it increasingly important to allow this particular title to remain elusive and in a sense, protected, from my life long endeavor to demystify the medium. In light of current world conditions, I think it’s as good a time as any to explore the workings of Frank Capra’s masterpiece. There’s nothing all of us need more than an understanding of what Capra was trying to show us. One of the most famous movies ever made, this critically acclaimed film is inspired by a 1939 story written by Philip Van Doren Stern titled: “The Greatest Gift”. The short story was originally published on a holiday greeting card which was mailed out to nearly 200 of the author’s friends and family during the Christmas season of 1943. RKO Producer David Hempstead bought the rights to the story for $10,000 [us] with the intention of developing the project for Cary Grant. Grant eventually passed on the project, unsatisfied with the different scripts that RKO was turning out. Frank Capra took this as an opportunity to acquire the project for himself and subsequently purchased the rights to the story at the same price that RKO had paid. Capra, along with a team of five writers, re-wrote the script using the original short story. Additionally, they cannibalised the first three scripts RKO had commissioned, peppering elements from these scripts wherever necessary. Most of the writers involved in the project would write off the final movie as a wasted effort, but this was mainly due to ego and not necessarily representative of the final work. Filming of It’s a Wonderful Life took place at RKO Radio Pictures Studio in Culver City and at an 89 acre ranch in Encino. The sets that made up the town of Bedford Falls were designed by Art Director Max Ree for the 1931 film Cimarron. Capra had additional sets built, including the fully functioning bank, parks and other natural elements. Animals were free to roam about the faux town in an attempt to give the set a real world feel. A famous dance scene, in which the townsfolk “jitterbug their way” into a swimming pool located underneath a gymnasium, was not a set, but is in fact a fully operational facility located within Beverly Hills High School. Named “The Swim Gym”, the facility has been featured in a number of Hollywood movies since It’s a Wonderful Life, but it’s most famous scene continues to belong to this wonderful masterpiece. The film was brought home for a little more than $3 million [us] and was the first and only film Capra financed himself. Improvisation has been a key element in many classic films and It’s a Wonderful Life is no exception. In a rather humorous scene when “Uncle Billy”, played by Thomas Mitchell, is staggering away and the camera is focused on Bailey looking on, we hear a crash and Uncle Billy yelling back “I’m all right! I’m all right!”. The scene wasn’t meant to end this way but lights and other film gear were knocked over during the take and Mitchell improvised the line. Capra elected to keep the blooper in the final cut. This joke has since been copied in many other movies. Capra over-shot the film and as a result there are many scenes not included in the final cut, in addition to multiple alternative endings. Many of these elements had heavy religious connotations, but in the end, the religious aspects of the story were heavily toned down to make the film accessible to a broader audience. 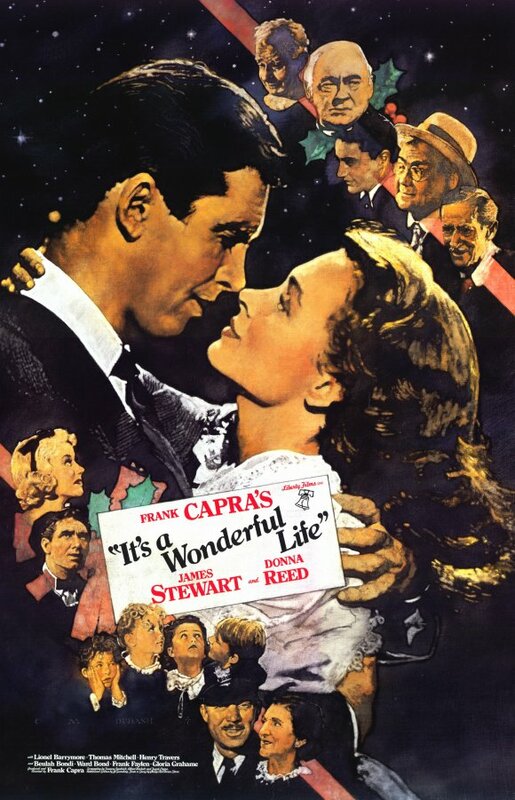 It’s a Wonderful Life premiered at the Globe Theatre in New York City on December 20, 1946. The film was received with mixed reviews, but largely negative and dismissive. In 1947 the FBI issued a statement insisting that the film is an obvious attempt to discredit the banking industry and that such a “communist trick” is designed to suggest that those with money should be regarded as despicable characters. The best thing to happen to this film is that it entered the public domain early due to a clerical error. While the story is still under copyright, the picture and sound is not and therefore any television station, movie house and internet site that has access to a print, can show the film without reporting or paying royalties. This “fluke” is the primary reason why the film is so well known. In 2010, Richard Cohen for Salon.com described the film as one of the most “terrifying Hollywood movies ever made”. Cohen accurately describes the heart breaking Pottersville sequence as “not the world that would exist had George never been born, but the world as it exists today.” In this statement, a phenomenal layer of the story, which is often overlooked by reviewers, is revealed. Cohen had written one of the most accurate reviews of the film that I have ever read by revealing a hard truth behind our own reality: we are all responsible for the kind of world we live in. In the case of the fictional town in which the story is set, Bailey represents what all of us could be, if we had the will to try. It takes an enormous amount of work and personal sacrifice to build the ideal community where everyone has a shot at a reasonable lifestyle. These themes are a constant in Capra’s resume of work and none of what he has done in this film or in his entire body of work should be taken lightly. I was looking for a review of this on your site before Christmas so I could re-blog. Might re-blog it next Christmas! Excellent dissection. Got to love Frank Capra, and this is up there with his best. It is almost impossible to criticise this film, and everyone looks forward to the Christmas season, just to see it on TV. You cannot ask much more of a film, than it becomes legendary. Thanks Eric, good call. Maybe being kind can be a year round act and not necessarily relegated to Christmas only? I knew you’d say that! You’re quite right, of course. Watch this space! It will be my Rogues & Vagabonds blog. I’m going to be writing up quite a bit on Capra and Stewart and their collaborations in articles to come. Provided no one beats me to it. 🙂 It takes a lot of time for me with all the fact checking I have to do. I have quite a few in the queue! I finally saw it for the first time at Christmas and loved every corny second of it! Can’t wait to watch it again next year! One of my favorite films! 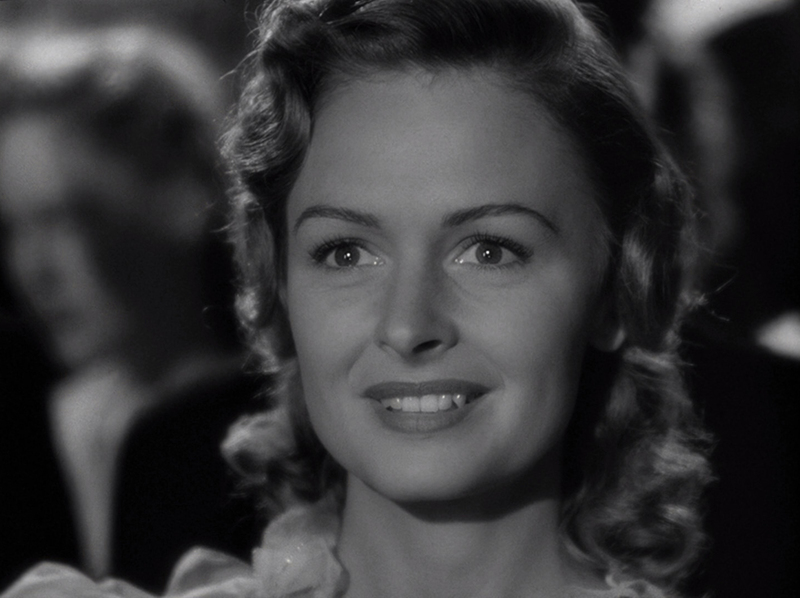 I wish I could go back in time and bring Donna Reed to this era and marry her, thanks for the great read! I absolutely adore this film. I was lucky enough to finally see it on the big screen, Christmas just gone, at my local arthouse cinema. I’ve never felt so festive and full of love for human kind (I’m sure teh mulled wine helped, too). Great blog. Laura, what is the theater that was playing it? I’ve been hard pressed to find exhibitions of it. I saw it a the Duke of York’s in Brighton. Their sister cinema down the road showed The Bishop’s Wife, which I didn’t get to see. Maybe next Christmas. We’re very lucky in that they throw in some classics alongside new releases. Good luck finding a showing near you, it really was a treat. I completely love this film! I hear so many people say it’s a ‘Christmas film’ but I could happily watch it all year round. Probably my favourite Frank Capra film – great post! layout iin yolur blog. Is this a ppaid topic or diid you customize iit your self? Either wayy krep upp thee excellent hiugh quality writing, it is uncommo tto lok a njce webvlog like thi one nowadays.. Thank you for your well written comment.